DON’T DRINK THE BATH WATER! 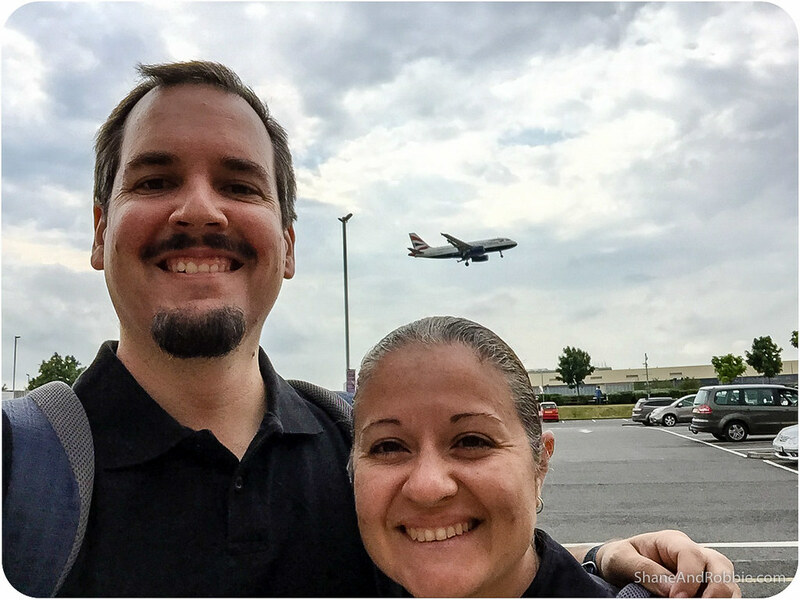 After a 2 hour drive to Beijing Airport, a boring 2 hour wait at the airport, a 10 hour flight from Beijing to Vienna, a 2 hour layover at Vienna Airport, a further 2 hour flight to Heathrow Airport (London), then a late night bus ride to nearby hotel, we crashed into bed last night exhausted but exhilarated to be in the UK. As Aussies this is like our motherland – we grow up learning bits and pieces of English history, reading about the UK, and watching British TV shows (alongside local shows and a healthy serving of American stuff), so it’s almost surreal to actually be here! 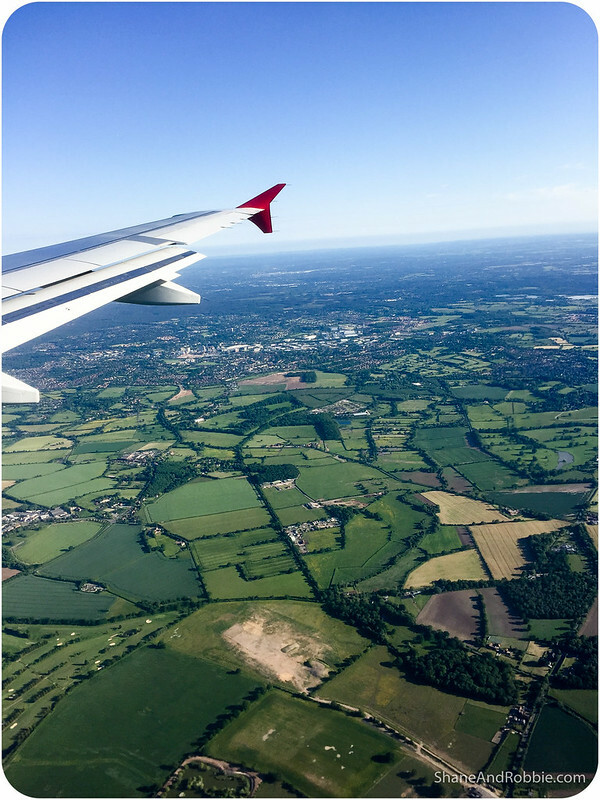 We were fortunate enough to arrive at Heathrow amidst blue skies and the views from the plane as landed were everything we could have hoped for: green meadows, orderly hedges, and quaint little villages. After a good nights’ sleep and a generous sleep-in we filled our bellies with “a full English” (i.e. eggs, bacon, sausage, grilled tomato, hash browns, baked beans, toast, orange juice and tea), then made our way to Bath* by train. 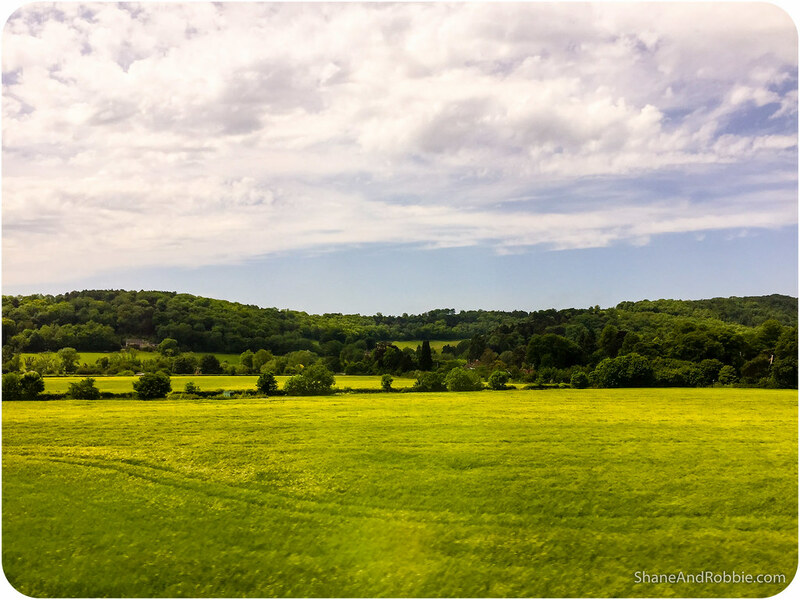 The train was clean, efficient, punctual and provided us with great views of the beautiful countryside that rolled past. 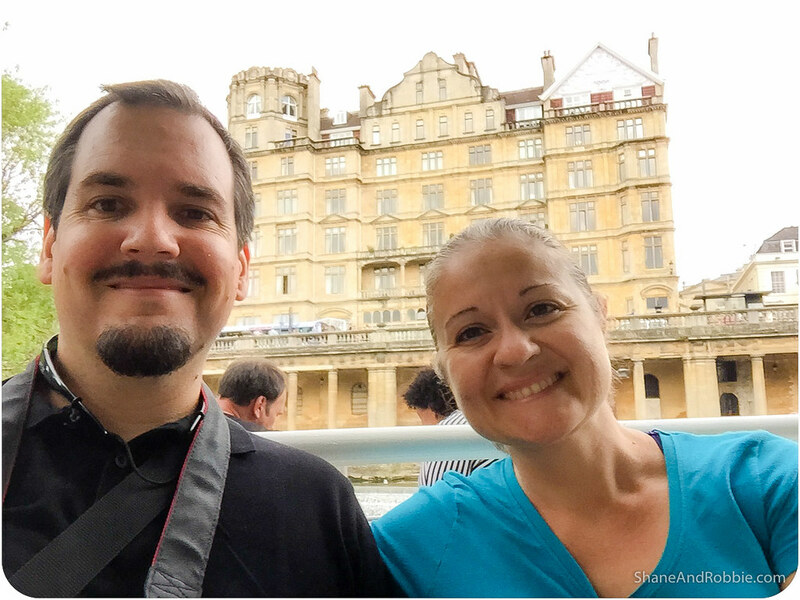 *Our plan is to travel around the British Isles in a roughly clockwise direction, starting in the south-west of England and ending in London in a few weeks. We arrived in Bath around mid-afternoon and checked in to the B&B* we’re staying in. The guesthouse is set in an 18th century townhouse and is run by a young family (they live downstairs and rent rooms on the 2nd and 3rd floors). Our ensuite room is comfy, cosy, clean and comes with a full English breakfast every morning. What else could we ask for? 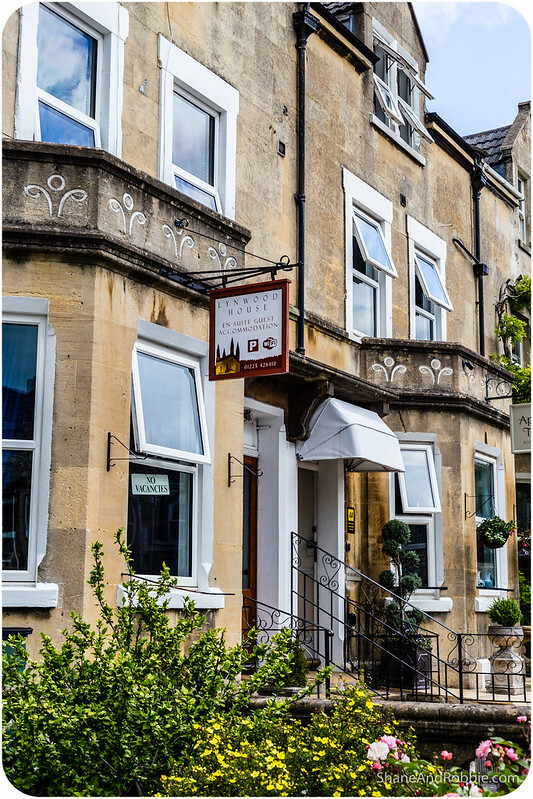 *B&B’s (bed & breakfasts) are a British institution and who are we to argue with the time honoured tradition of staying in what is effectively someone’s spare room for a reasonable price (breakfast included)?! We always prefer homey little guesthouses to big hotels and hope to find some great little B&Bs during our 2 month stay in the British Isles. The full English breakfasts are our only concern – we may end up obese with a serious cholesterol problem if we keep tucking in every morning like we did today! 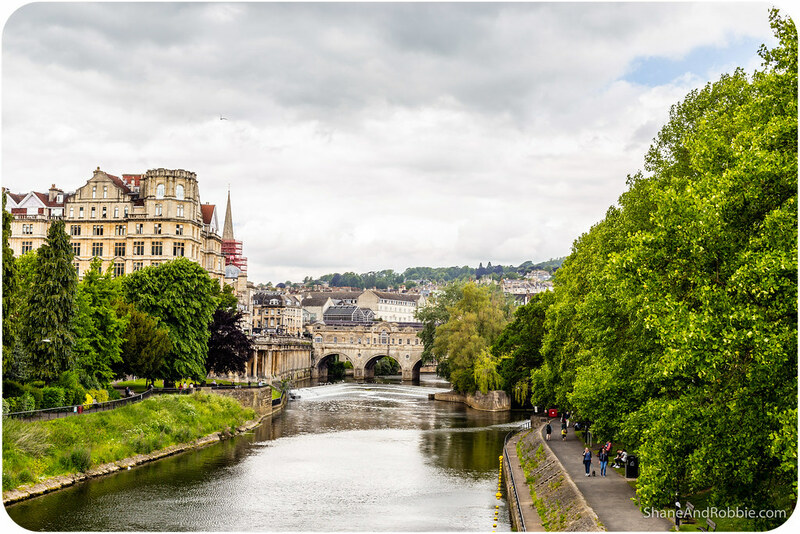 Built along the River Avon, Bath is town of about 90,000 just 200km from London (the distance here are so small compared to Aus, making travel between places so easy!). The city’s claims to fame include its history as a Roman thermal spa town and its preponderance of stunning Georgian architecture. Strolling through the town this afternoon we can also attest that this is a very pretty place. 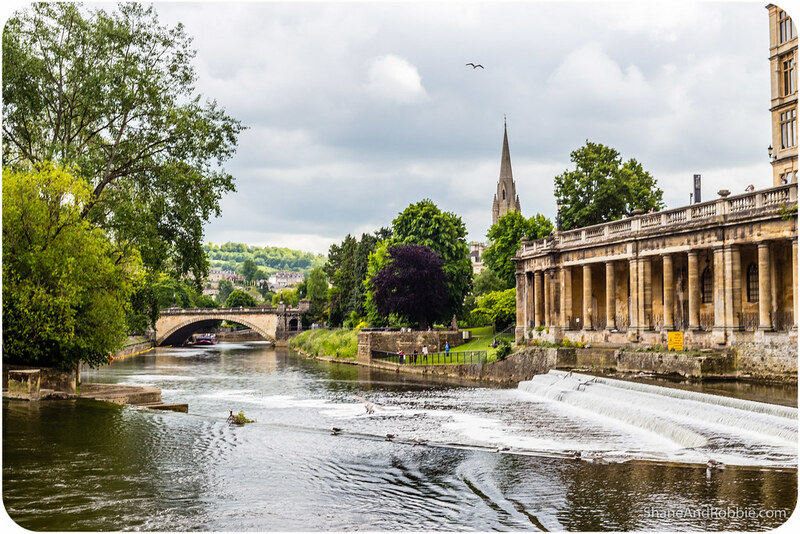 Founded in 60AD by the Romans as a thermal spa, Bath became an important centre of the wool industry in the Middle Ages. 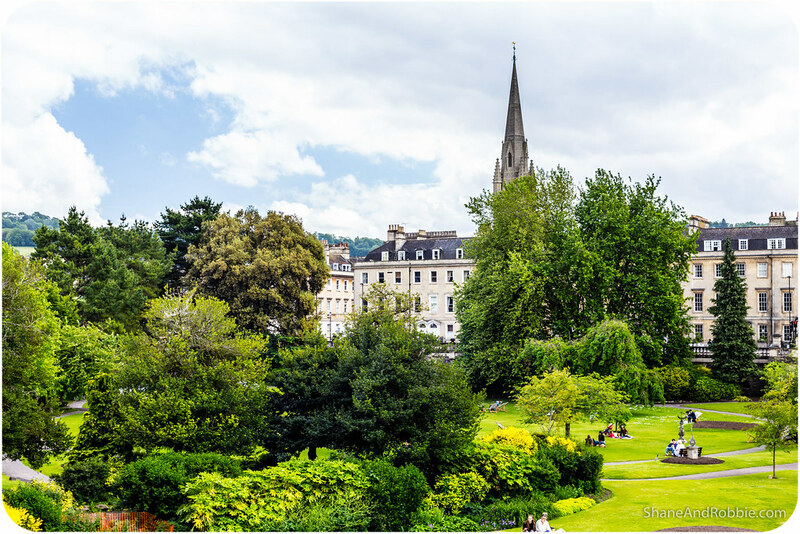 Then, in the 18th century, it developed into an elegant town with filled with neoclassical Georgian townhouses and public buildings.Most buildings in Bath are made from the local, golden-coloured Bath Stone, which comes out of the ground a creamy white colour, but which, over time, mellows to a lovely honey yellow colour. 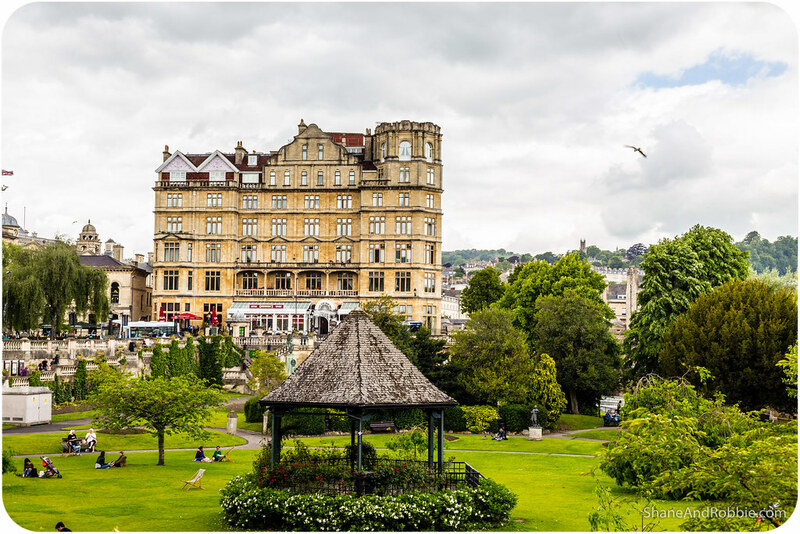 As most of it was developed around the same time, the overall impression we got of Bath today was of a very neat, ordered town with its own very distinctive look. 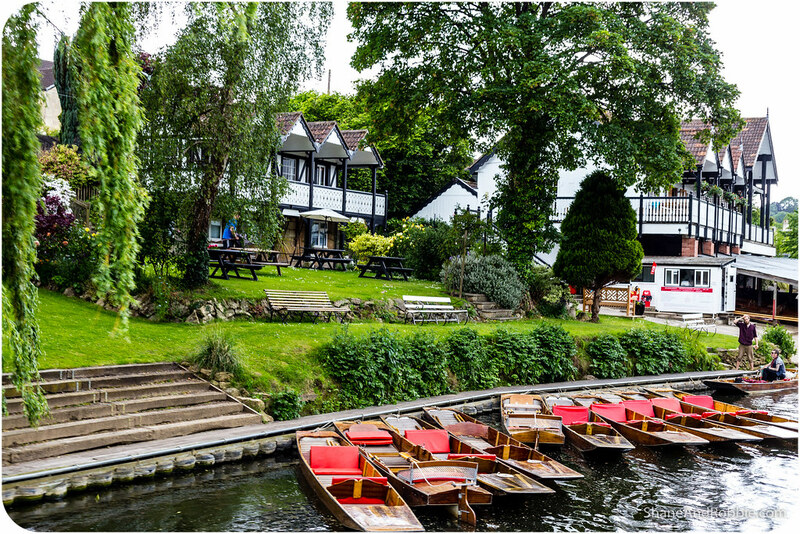 The town straddles the River Avon* and rather than explore all the city’s major sights this afternoon, we chose to see what we could from the relative comfort of the river. 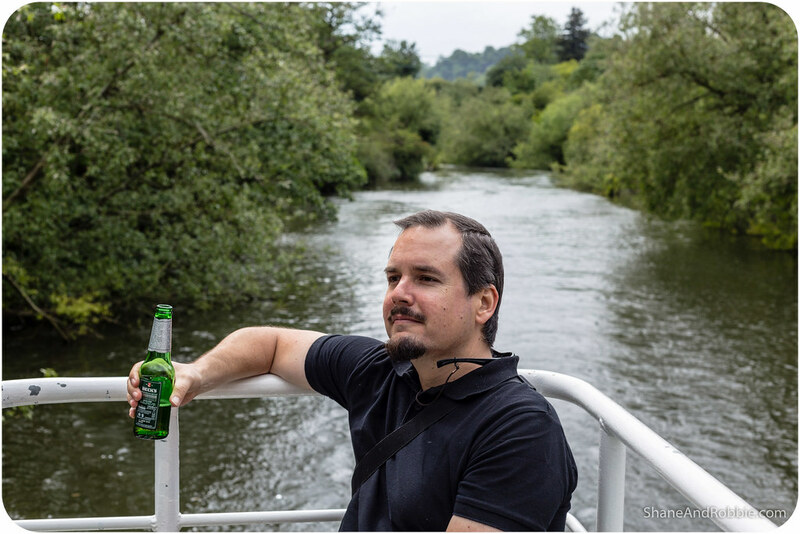 We did one of the short boat cruises that goes through Bath and along the River Avon to the nearby village of Bathampton. A very relaxing way to do some sightseeing, that’s for sure. 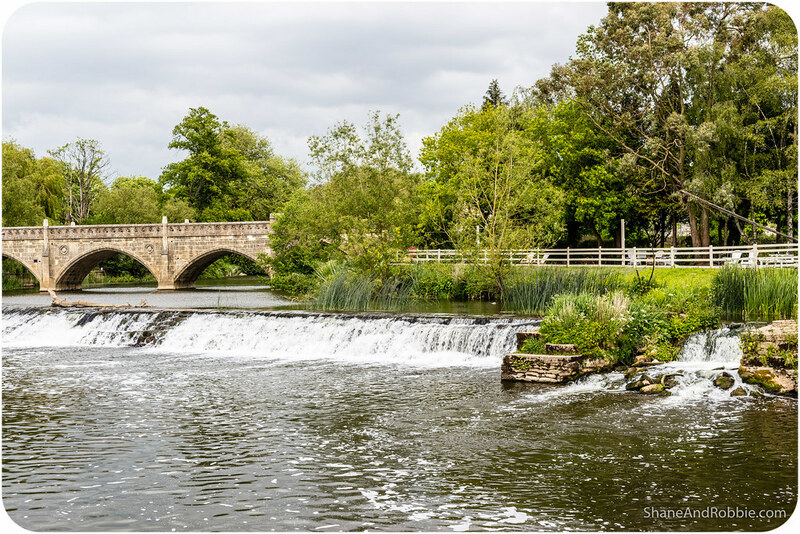 *We learnt today that there are a number of rivers in England called “Avon”, due mainly to the fact that the word is derived from the Old English word “afon” which means river. 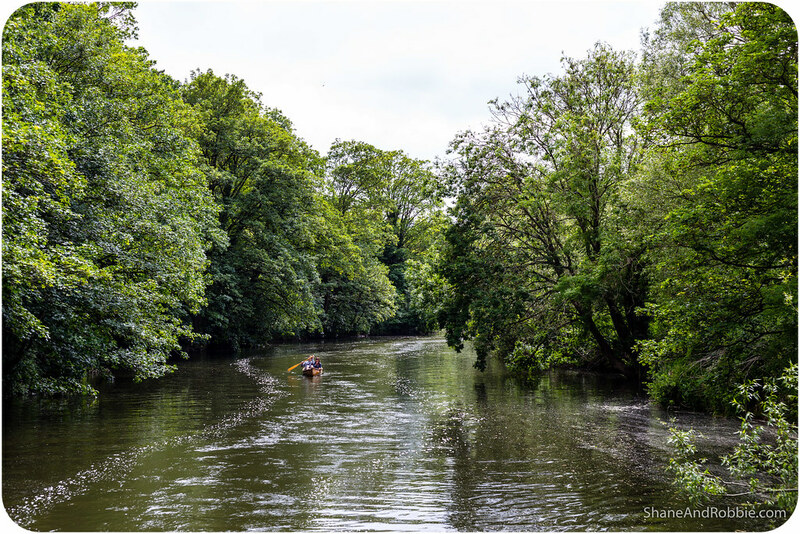 To distinguish THIS River Avon from other of the same name, this river is often referred to as the Bristol Avon, after its terminus. We passed under the Pulteney Bridge, which is modelled on Florence’s Ponte Vecchio and Venice’s Rialto Bridge. 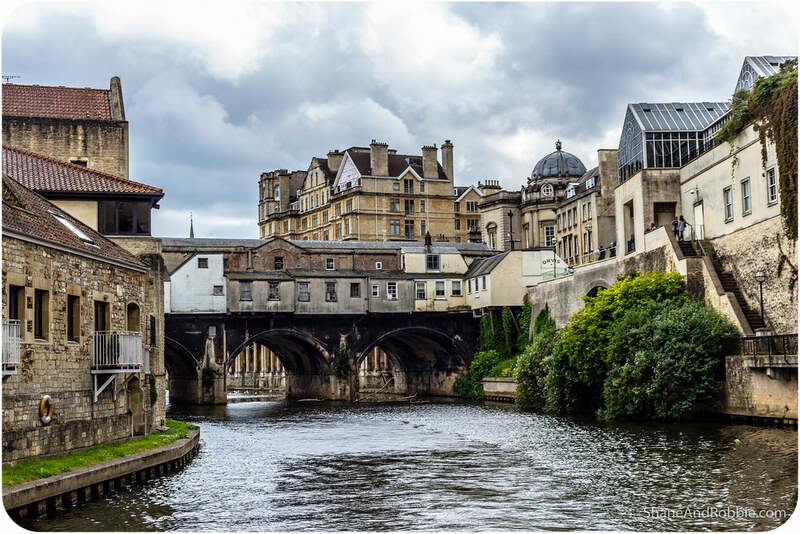 It functions as both shopping street and river crossing and is, like everything we saw in Bath today, beautiful. Once through the bridge our boat took us past some very nice river-front homes and then through the farmlands surrounding Bath. It was like a rolling painting of green pastures dotted with cows and sheep, gently rolling hills, and verdant woodlands. 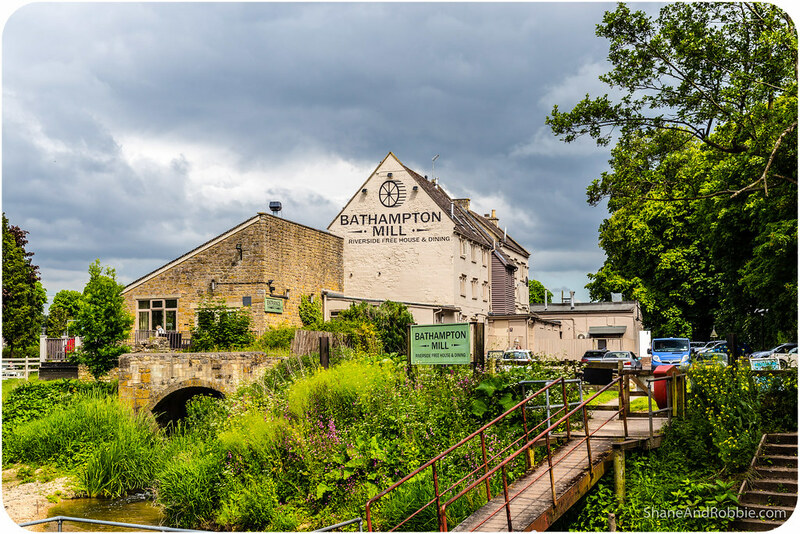 Along the way we passed the Bathampton Mill, a renovated 13th century building that once functioned as a grain mill but is today a fashionable restaurant/pub in a beautiful spot. 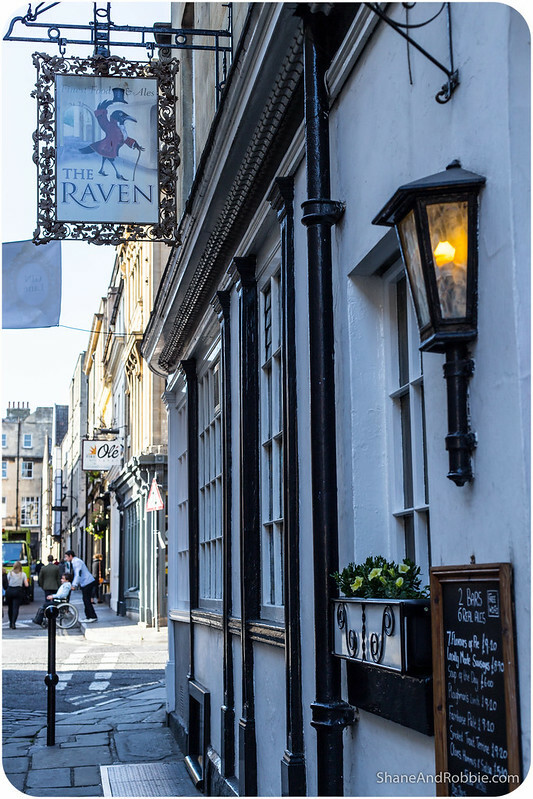 After our sedate little river cruise we headed out for some dinner and found a great free-house pub* called The Raven that served good, honest pub food in simple surroundings at a reasonable price. The “reasonable price” bit was really great as we’ve already learnt that England is seriously expensive – especially with the Aussie dollar currently worth HALF what the British pound is! *A free-house is a locally owned pub – i.e. a British pub that is owned independently of the breweries that supply it. We were admonished by friends from the UK to support free-house pubs where we could as they are an important (and increasingly less common) part of British culture and the food and beer is often better there.